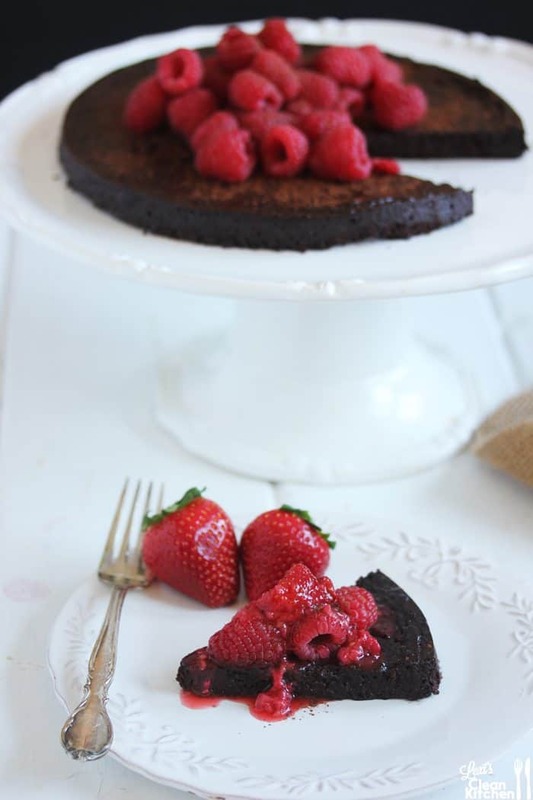 This Paleo Flourless Chocolate Cake is rich, decadent, and easy to make. It’s a chocolate cake recipe favorite year after year! This paleo flourless chocolate cake is kid-friendly and loved by every adult who has tried it! Totally flourless and gluten-free, and so decadent and delicious. Call my corny, but I love Valentine’s Day. Basically because I am a huge sucker for all things love-related, but I mean, who doesn’t love a day when it is completely acceptable to eat loads of chocolate, have a nice fancy (and healthy) dinner, and possibly indulge in some delicious wine? Some may totally disagree and think it’s just another ordinary day, but I can’t help but love to get a little festive! I probably didn’t feel that way when I was single, but I definitely remember doing the same thing with my girlfriends then, as I would now! Speaking of girlfriends… I am excited that I have gotten so close with four of my favorite blogger-friends. We decided to bring you an awesome Valentine’s Day Dinner Party featuring an appetizer, a main dish, a side dish, a cocktail, and a dessert. Full-course and absolutely killer. The entire menu is made up of healthy whole foods and is completely paleo-friendly. I brought you the dessert, and it is one of my all-time favorites! Check out the goods! This is an epic meal right here, if I do say. Let’s start this dinner party off with a Blood Orange and Grapefruit Cocktail (or mocktail), from Fit Foodie Finds, shall we? Find the full recipe here. Next we have Kelly from Nosh and Nourish’s Walnut Encrusted Scallops! Find the full recipe here. Entree? Olena from iFoodreal has you covered with her Roasted Lamb Shoulder. Find the full recipe here. But you can’t have a main dish without a side. 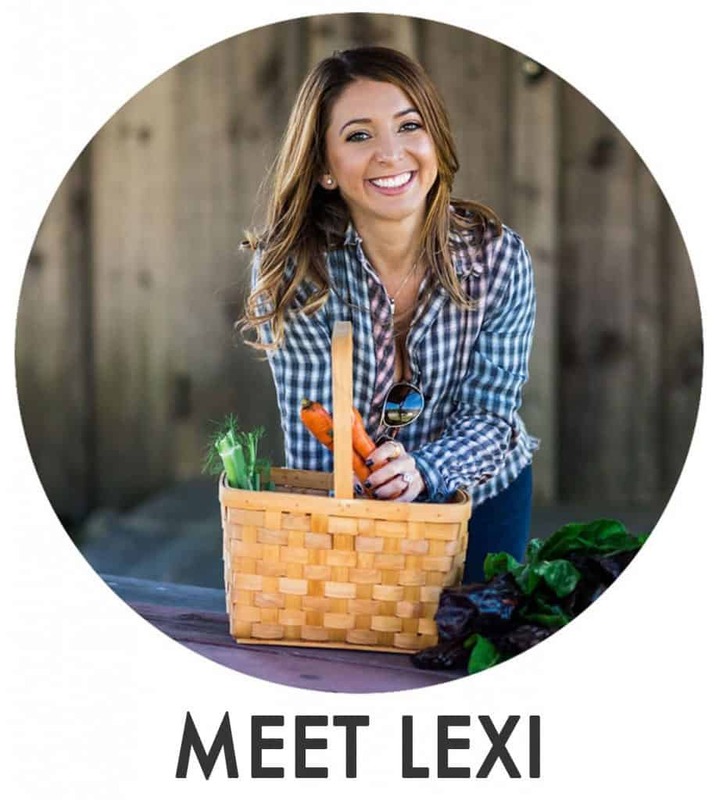 Davida from The Healthy Maven brings to you her Lemon Ginger Asparagus with Toasted Almonds. Find the full recipe here. And lastly, my portion of the dinner party… the DESSERT. This is one of my favorite recipes I have ever made. It is rich and heavenly, everything a flourless cake should be. Plus, it is topped with a delicious berry sauce that ties it all together. We can’t get enough of this cake. It is an absolute new go-to around here. Make it this Valentine’s Day! In a bowl melt chocolate (stove or microwave). Mix in coconut oil and stir until combined. Grease 9 in. springform pan. Pour mixture in and bake for 25 minutes. Let cool completely. Remove from pan gently, slice, dust with additional cocoa powder, and serve! What’s on your agenda for Valentine’s Day? I love this healthy Valentines idea, and love that you guys are all so LOVE-crazy! This cake looks super-delicious 🙂 Yay Valentines! Wow! i dont even know where to start! 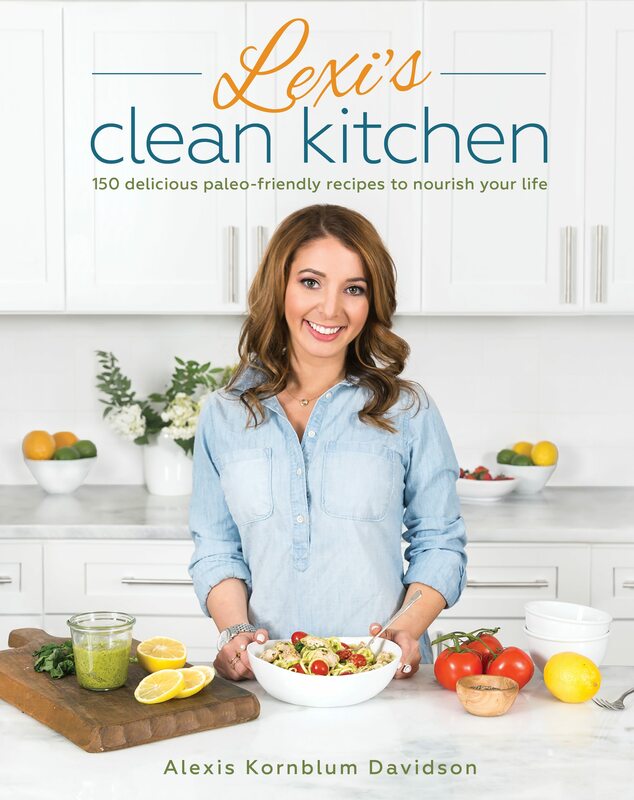 So many beautiful recipes to try, and what influential, inspirational bloggers together! Yummmmmm! I love this post, I know my valentines day meals will be full of goodness! Yummy!! I love this idea that you all went into together! 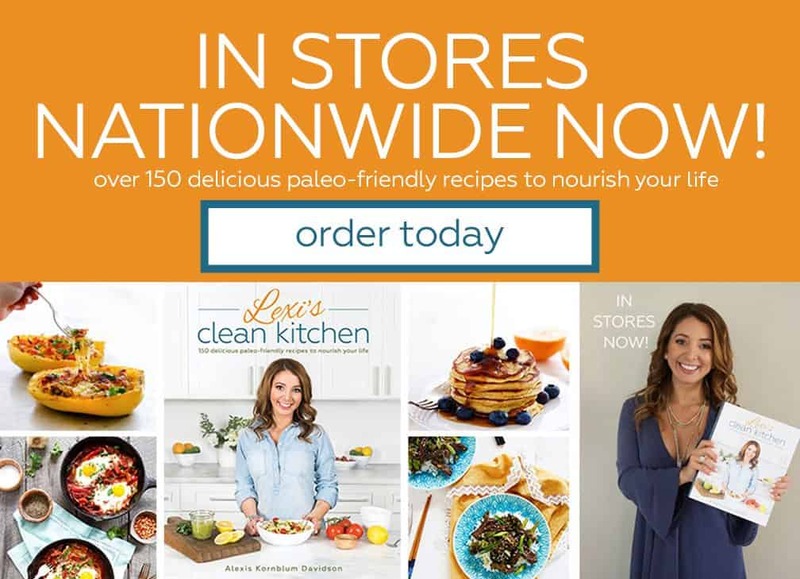 I am going to have to try all of these recipes! Wowww that looks like something I would dive head first into! The chocolate color is so rich and beautiful. Such a fun idea to get a bunch of bloggers together for something like that! I can’t wait to read the other courses. I’m not the biggest valentine’s fan… but I have been single for three years so that could be the problem haha! I’m amazed at how pretty this cake is. Props to you girl! On the agenda for v-day.. home cooked meal and a movie on the couch with my bf! Perfect, cheap, and cozy. Sounds like the perfect night, Christine! Thanks so much. This cake looks awesome! Is there anything I can substitute for the coffee to make it more kid friendly? Thank you Gayle! I think leaving it out would be fine, but I can’t promise as I haven’t tried it without the coffee. Feel free to share how it goes if you try it! This cake looks to die for! I have all the ingredients kicking around in my pantry and am definitely going to test it out when my next dessert craving hits. I love that you ladies came together for this fabulous dinner menu. It’s such a cute idea, and sounds like an amazing flavour combo. The new season of House of Cards comes out on Valentine’s Day and I’m dying to see it so my roomate and I have some sweet plans to make an amazing meal and have the ultimate TV marathon. Not your conventional Valentine’s Day but I think it sounds perfect. And I was just worinedng about that too! This cake and the pictures are gorgeous! I love that you all got together to create this meal. Such a great idea! Beautiful shots, Lexi! So glossy and flourless cakes always amaze me. Yum yum! Everything looks delicious – especially that cake! Great idea! Chocolate and raspberries is such an underrated combo!! I’ll take ten pieces, please and thanks!! sounds like a great recipe! 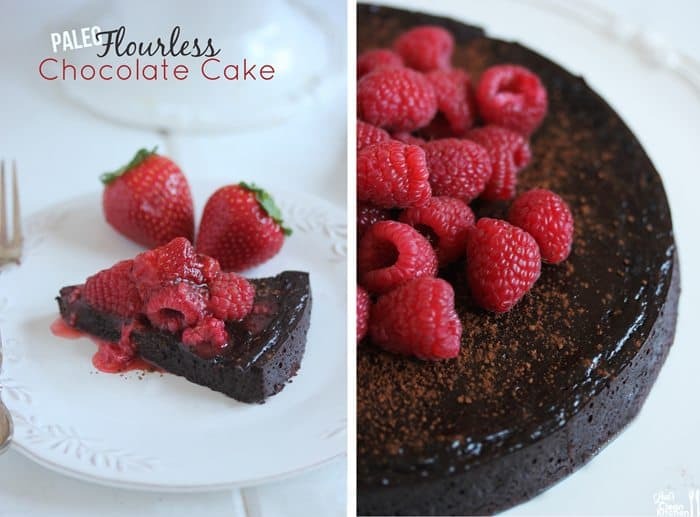 i love flourless chocolate cakes! I am so excited to try that cake! I have a nut-allergy, so can’t make any of the lovely recipes that call for almond flour…but this…THIS I can make! 🙂 Thank you! We like to stay in on v-day instead of going out to a crowded restaurant so I love the idea of a healthy Valentine’s Day menu. I’ve never cooked scallops at home but I’d love to try the Walnut Encrusted Scallops. And your flourless chocolate cake looks amazing! I’ll have to try the flourless chocolate cake! Looks easy and amazing. I will try and replace the eggs somehow… thanks for this! I definitely didn’t like V-day when I was single, but love it now that I’m married! Hey Lexi! Can you sub anything for the hot coffee? 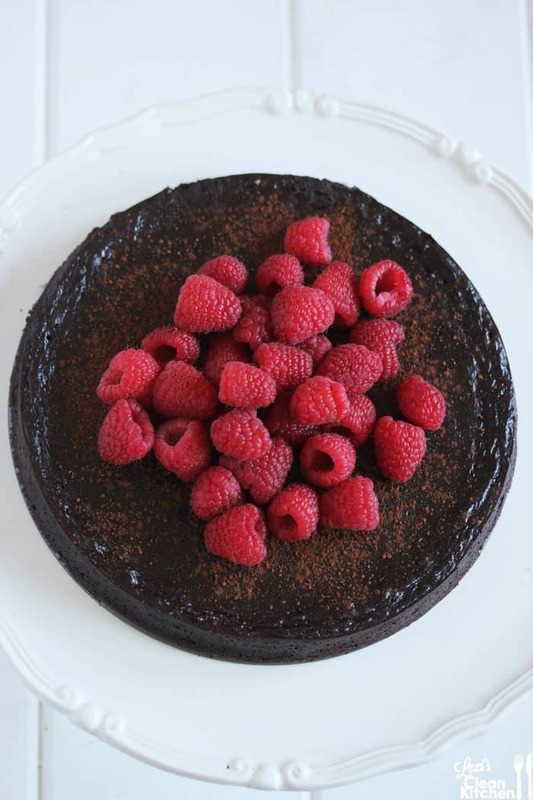 That looks so insanely decadent… I have never made a flour less cake, maybe this will inspire me to! This all looks great! I’m thinking of making the flourless chocolate cake for my boyfriend this weekend, but I wanted to make it a day ahead of time. Will it still be good if I bake it and then stick it in the fridge for 24 hours? Or should I just leave it out at room temperature until we eat it? Either way! If you put it in the fridge let it sit out for about an hour before serving; or lightly heat it for warm cake! Would it affect the texture too much to decrease the amount of honey? 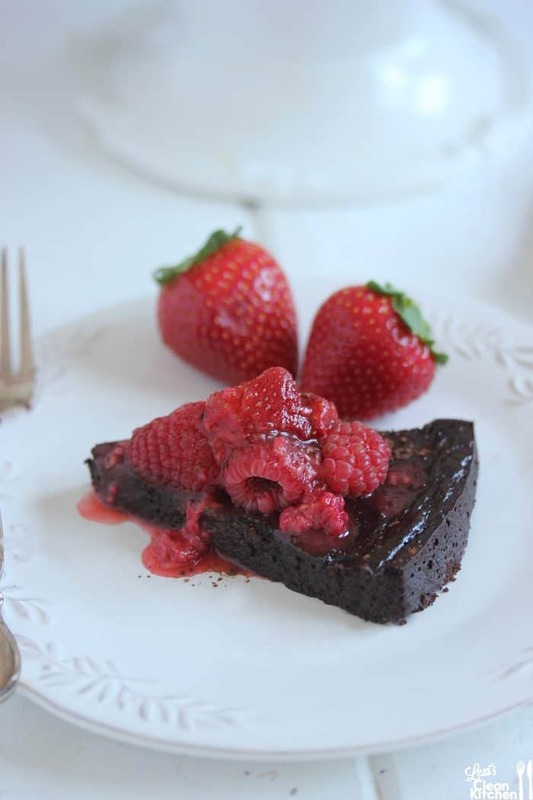 I’ve been obsessed with finding healthy, paleo chocolate cake recipes. I just made this one and it’s yummy! Dusted it with tiny bit of powdered sugar and a few raspberries. My new go-to recipe! I made a cake similar to this Saturday. I’d like to switch it up with cupcakes for V day. How long would you suggest I bake them? Thanks!